State of Illinois Invitational Marching Band Finalists: 1989, 1990, 1992. The Wheaton North Falcon Band is an extra-curricular musical activity at Wheaton North High School, as part of an inclusive and comprehensive music and performing arts program that also includes 3 curricular bands, 2 classes of percussion studies, 2 orchestras, 3 choirs, and several classroom music classes. 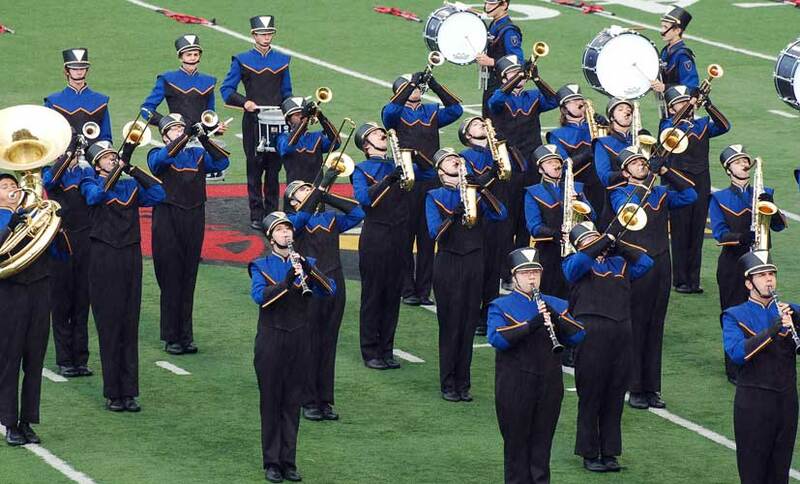 In addition to performing a different non-competitive show at home football games, the Falcon Marching Band performs their competitive show at several competitions, hosts the annual Falcon Marching Band Festival and participates in several community events, and parades throughout the school year.